Matched betting explained – This step by step beginners guide will explain everything you need to know about no risk matched betting in 2019. Plus we walk you through a number of simple matched betting examples to help you get started as quickly as possible. As with starting anything new, matched betting will take time and dedication to get to grips with. Understanding the processes and systems involved can be quite challenging for some people. Match betting beginners are sometimes put off by the concepts and jargon involved with this risk-free betting method. It certainly took me a while to get to grips with certain ideas when I first started. 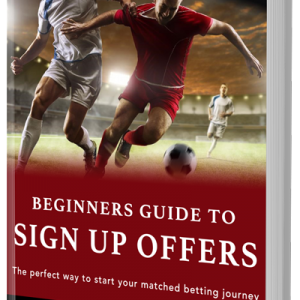 I’ve created this simple matched betting guide explaining the most important concepts and key terms you need to know in order for you to get earning as quickly as possible. Before we continue, I just wanted to mention that match betting is not a get rich quick scheme and you certainly won’t become a millionaire using this betting strategy. What it is, is a proven method to generate a great second income of up to £1000 each month. Still interested? Great, so what is matched betting? No risk matched betting or double betting is a method used by individuals to profit from bookmakers’ free bets, bonuses and other promotions. This method is completely risk free as outcomes are based on a mathematical equation rather than chance. As you can see, matched betting is very different from normal gambling which makes it incredibly popular with a wide range of people. Individuals from all walks of life use match betting to make money online. Typically students and stay at home parents find matched betting the most effective but it’s not just limited to these types of people (more on this later). So we know matched betting takes advantage of bookmakers promotions, but are there really enough of these to make a second income from this strategy? If you’re new to the betting scene, you may not be aware of the huge range of free bets, bonuses and other promotions the bookmakers offer on a regular basis. Bookies use this tactic to encourage and incentivise as many individuals as possible to bet on their platform. Some bookmakers are willing to spend up to £300 to acquire one new customer. A crazy amount especially when you think that the bookies are gaining thousands of new customers on a daily basis! What’s more, most of this marketing budget ends up in sign up offers for new customers, much like the Smarkets example above. This is great for matched betting! 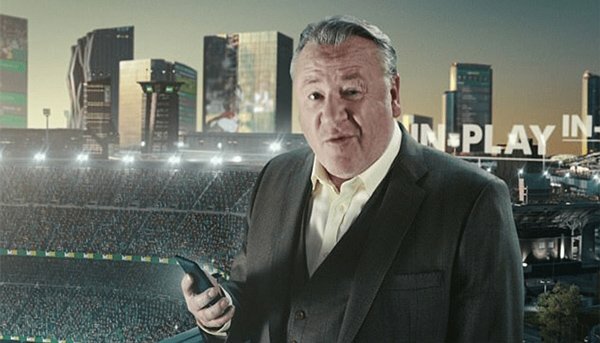 If you like watching sport on the TV, you will have undoubtedly seen a number of bookmakers promoting their latest offers. This is especially true for the larger bookmakers like Bet365, Ladbrokes and Coral who have a much greater marketing budget than smaller firms. The big companies pay celebrities to endorse their betting platforms! This is not to say there won’t be betting offers available during live sport. Bookmakers just won’t be able to advertise their promotions in play, in a bid to reduce the number of children being exposed to gambling at a young age. These changes are unlikely to have a significant impact on the betting industry and it’s fair to say there will still be plenty of free bets and other promotions available for you to take advantage of. 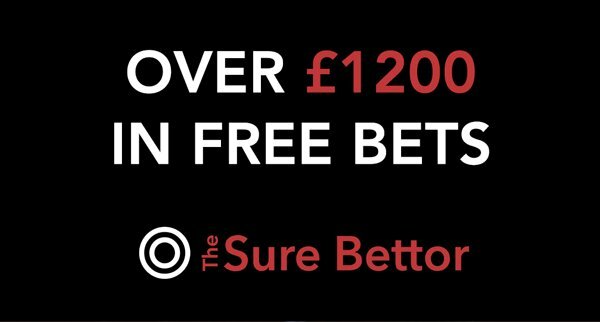 Currently, there is over £1200 worth of free bets available for both new and existing customers. With match betting, you can make a guaranteed profit from a lot of these free bets. So how does this risk-free betting method work? As I mentioned earlier, if you’re new to matched betting, it may take you a while to understand how this concept works. However, once you’ve got the process nailed it’s incredibly easy and you’ll be a pro in no time. You’ll be able to complete one offer in about 10 minutes making match betting incredibly profitable for a relatively small investment in time. Before we get into the nuts and bolts of how matched betting works, here’s an infographic of the overall process. Ok, so now you’ve got some idea of how the process works, let’s look into some more detail. Matched betting is based around a concept called back and lay betting. This method involves placing two opposite bets, each at different betting companies. You place one bet at a bookmaker (a back bet) and another bet at a betting exchange (a lay bet). Beginners out there are probably unsure of what a betting exchange is and how they work. In basic terms, an exchange is an online betting platform that lets you bet against other punters rather than against the bookmaker. It’s effectively a peer to peer betting company. You can place both back bets and lay bets at an exchange, making them more versatile than traditional bookmakers (more on this below). Betting exchanges are relatively new in the industry. Founded in 2000 by Betfair, match bettors have a lot to thank them for as they make matched betting a possibility. Since betting exchanges just act as the middle man, they make money differently to traditional bookmakers. They charge a commission on players’ net winnings rather than building their profit margin into the odds. Therefore the odds at a betting exchange generally offer greater value for the punter. This is one of the reasons these platforms have become so popular over the last few years. Matchbook may look like the industry leaders in this category. However, their 1.5% commission applies to both wins and losses whereas the other exchanges just charge a commission on net winnings. This stage is pretty self-explanatory. Simply find the market you want to place your bet on by searching for the event or clicking through the appropriate links. Since your using a betting exchange, you’ll need to choose whether you want to place a back bet or a lay bet. In most cases, you’ll want to place a lay bet at the betting exchange. To make things easy, the back and lay markets are highlighted in different colours. The other exchanges use slightly different colour schemes which you can find more about in this article. The next stage is to enter your desired stake. If you’re using matched betting, the calculator will work out the required lay stake based on the odds you enter. Again this step is rather simple, however, I do recommend checking over your bets before hitting the place button. All in all betting exchanges are a crucial part of matched betting and you’ll use them on a regular basis. For more explanation on what betting exchanges are and how they work, check out this article. As I mentioned earlier, matched bettors place two bets for each offer they complete – a back bet and a lay bet. But what’s the difference between backing and laying? Backing an outcome is the same as betting something to happen. You are staking money on an outcome to occur. Backing is the most common and traditional type of betting in 2019. When you have a bet with your mates, you’ll usually be placing a back bet without even knowing it. So how does that compare to laying a bet? Lay betting is the opposite of back betting. So when you place a lay bet you’re betting on an outcome NOT to occur. Lay betting is generally used by matched bettors and traders alike. Typical gamblers are usually unaware that lay betting even exists. However, it’s a key part of matched betting so it’s important you understand how it works. Below is an example of back and lay betting. So what’s the use of backing and laying in matched betting? As I explained above, matched bettors use this technique to ensure a profit is made from each free bet. It also allows you to make the process completely risk free. By using a mathematical equation to calculate your stakes, you can ensure your back and lay bets cancel each other out. You’re probably wondering why we do that and I’ll explain below. Before we move on, you don’t need to worry about any of the equations or maths involved. It’s all done for you and built into our very own matched betting calculator. So, what’s the purpose of placing bets that cancel each other out? The bookies don’t just hand out free bets and bonuses to anyone who signs up or opts in. They would lose a lot of money. Therefore, there’s usually some kind of qualifying criteria involved before you can access a free bet or bonus. That’s where back and lay betting comes in handy. By using this process, you can qualify for a bonus without losing any of your own money. You can trigger the free bet risk-free! This is what sets match betting apart from other forms of betting. Once you’ve placed your qualifying bet, you’ll have access to your free bet meaning you can make a guaranteed profit! As a general rule, you should aim to extract at least 80% of your free bet in cash, which you can then withdraw straight to your bank account. At this stage, you may be thinking this is all sounds great, but is matched betting legal? We’re often told that when something seems too good to be true, it often is. Well, that really isn’t the case with no risk match betting. There is no catch! Matched betting as a method is 100% legal and is actually endorsed by certain betting companies such as Smarkets. Matched bettors simply take advantage of bookies’ free bets like anyone else would. The only difference is that you place an opposite bet, using a different company, to guarantee a profit. There’s nothing at all illegal with the match betting process. Despite what I said earlier, not all bookies are such big fans of matched betting. Especially bettors who continually take advantage of their bonuses, free bets and other promotions. However, you can employ tactics to mask your matched betting activity. Whilst these strategies will help in the short term, the bookmakers are still likely to catch you in the long run. The only way to avoid this is by not taking too much value. If you want some more information on the legality of matched betting, check out this article. How can match betting be risk free? After legality, this is probably the second most popular matched betting question that comes to mind – how on earth can anything to do with betting involve zero risk? As I explained above, matched betting is technically not gambling. Back and lay betting is a risk-free method used to guarantee a profit and mitigate any risk from normal gambling. Bettors use a matched betting calculator to work out the most effective stakes to maximise the profit from their bets. If you’re still not sure how matched betting is risk-free, I recommend you follow the matched betting example below and give it a go yourself. You’ll be surprised at how easy it is once you know what you’re doing. Right then, now you know a little more information about this strategy and how it works, let’s look at a matched betting example to help explain the whole process. Coral offer new customers a £20 free bet when you sign up and stake £5. Therefore to trigger the free bet, you need to place a bet of just £5. This bet can be placed on any sporting market, however, large football games are usually the easiest for beginners. The Premier League is usually a great place to start. Once you’ve found a suitable market, it’s time to place your back and lay bets. When these bets have settled, your bonus should have been triggered. Your free bet will usually appear in the bet slip or the account funds section. Now you can make a guaranteed profit from this offer! Repeat the same process, only this time use the free bet instead of your own money at the bookmaker. There’s obviously a bit more to it, but that simple explanation should give you enough to understand the main concept behind match betting. First things first, matched betting is not a get rich quick scheme. If you’re looking to make millions overnight, matched betting is not for you. What this is, is a proven strategy to make a sustainable income online. Some people use this as their primary income whilst others use it to supplement their full-time job. Obviously, the amount you make really depends on how much time you invest. However, on average, matched bettors generally make around £500 each month with more experienced bettors earning up to £1000 per month. Not bad considering it’s all tax free and takes very little time. If you’re not making enough money from match betting to be your full time job but you still like the idea of making money from home then you could check out MLMCompanies.org. It has some good information on how you can make some extra cash while you get your matched betting off the ground. Now let’s have a look at some of the most common matched betting key terms and abbreviations you’re likely to read on our site and across the wider betting industry. Whilst not all of these terms will directly affect your matched betting, they’re all worth knowing and may come in handy at a later stage. If you need more explanation on any of the following key terms or you come across a term that’s not covered, please leave a comment in the section below and I’ll get back to you as soon as possible. The key terms and abbreviations are in alphabetical order. An accumulator, combination or multiple bet is a single bet that contains 2 or more selections in one. For this to be a winning bet all the selections must come true. In recent times, accumulator bets have become very popular, especially with football punters. There are plenty of methods matched bettors can use to take advantage of accumulators. Betting on an outcome to happen – just like a traditional bet. For example we may bet that Chelsea will win the Premier League next season. We generally place this bet at a bookmaker (bookie), however, it is also possible to place a back bet at a betting exchange. 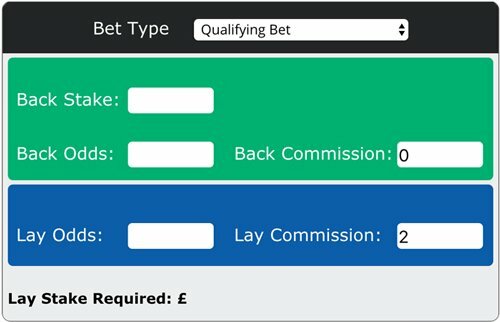 Back bets are highlighted in green on our site – this is also the case for our matched betting calculator. The odds we get at the bookie or betting exchange when placing our back bet on a given market. The betting site where we place our lay bets, for example, Smarkets or Betfair. We use the betting exchange to make this process risk free. It allows us to bet against our first bet (back bet). We explain this in greater depth in our what is a betting exchange guide. The betting site where we place our back bets, for example Coral or Ladbrokes. This is the most common type of betting company. A bet that we place using bonus funds given to us by the bookies or betting exchange. These free bets are usually from a promotion or offer that we have qualified for. Free bets are the bread and butter of matched betting – without them, our potential profit would be severely restricted. Gnoming, also known as multi-accounting, involves opening and running more than one betting account with the same bookmaker to maximise income from an offer. Individuals usually do this by using a family member or friend’s name. This is technically fraud, therefore we strongly recommend you don’t use this strategy. It’s very likely you’ll be banned by the bookmaker in question, limiting your potential profit. For more explanation on the legality of multi-accounting check out this article. Gubbing is a term used to describe the situation when a bookmaker restricts our account in some way. This can be anything from a stake restriction to a complete account ban. For a successful matched betting strategy in 2018, we need as many bookmaker accounts open as possible, preferably without any restrictions. There are a number of methods we can use to keep our accounts open and active for as long as possible. Betting on an outcome NOT to happen. A lay bet is the opposite of a back bet. We bet that Chelsea will NOT win the Premier League next season. We place this bet at a betting exchange. Lay Bets are highlighted in blue on our site – the same applies to our matched betting calculator. For more explanation on back and lay betting check out our specific guide. The odds we get at the betting exchange when placing our lay bet on a given market. Liability is the amount we stand to lose at the betting exchange should our bookie (back) bet win. Any losses at the betting exchange are covered by wins at the bookmaker. Before placing any lay bets, we need to ensure we have enough money in our exchange account to cover the liability amount. So in the example below, we’d need to ensure we have at least £20.75 in our betting exchange account before being able to place our lay bet. In relation to a betting exchange – the amount of money waiting to be matched for a given selection. This figure is always changing and increases considerably, closer to the start of an event. This is why we suggest you place your bets around 15 minutes before the scheduled start time. In relation to a betting exchange – our bet is matched when it has been accepted by the exchange. If the liquidity is high, like the above example, our bet will be matched as soon as we place it. Therefore it’s best to stick to popular markets where the liquidity is bound to he high. Large football games and horse racing events are usually the most effective. A bet that we place to help keep our accounts from being gubbed by the bookies. We place a back and lay bet on the same market just like a qualifying bet, however, there is no promotion or bonus to unlock. Mug bets are an important strategy to increase the long term profitability of matched betting. A bet that we place to unlock a free bet. When completing a qualifying bet we place a back and lay bet on the same market, effectively cancelling out the risk from each bet. We’ve then qualified for our free bet. It’s important to add, we usually lose a small amount of money when placing qualifying bets. See below for more details. The amount we stand to lose when qualifying for our free bet tokens. We work out this loss before the event has even started using our matched betting calculator. As a guide, we aim to restrict this amount to below 5% of the overall back stake. So for a £10 bet, we don’t want to lose any more than £0.50. In relation to a free bet – the free bet stake is not returned with your winnings. Let’s say we place a £10 free bet at odds of 2.0 and it goes on to win. We’ll receive £10 from the bookie. In this scenario, they don’t give us our £10 stake back, like they would in a stake returned free bet or a normal bet. Most free bets we use are SNR. In relation to a matched betting free bet – the free bet stake is returned along with any winnings, just like a normal bet. This is quite rare as bookies don’t usually return the stake within a promotion or offer. In relation to a betting exchange – our bet is unmatched until it has been accepted by the exchange. If your bet is unmatched it’s probably due to a lack of liquidity in the market. If this is the case, I suggest you pick a market with more popularity and therefore higher liquidity. When you start out with anything new – whether that’s a new job or hobby, there’s always some kind of learning curve with new terms and concepts to get your head around. That’s why it’s important to summon the help of experts in the field and that’s where a matched betting service comes in handy. Here at The Sure Bettor, we provide all the matched betting help you could wish for. Check out this article for more information on what we offer. I hope this matched betting explained article has given you a better understanding of the most important concepts and key terms we use. Stay tuned for more matched betting tips and tricks in the future.